-High accuracy printing quality, down to 50 microns. -Bowden style Titan Extruder with improved hotend design. -95% Assembled, easy for installation. -Very stable structure with Full Aluminum Frame design. -Compact and small size all-in-one Powerbox with LCD control panel. Large print size: 300X 300 X 400mm. Full Metal E3D Bowden long distance Extruder with Improved Titan extruder. Printing accuracy: High accuracy printing quality, down to 50 microns. Body Structure: Very stable structure with Full Aluminum Frame design. 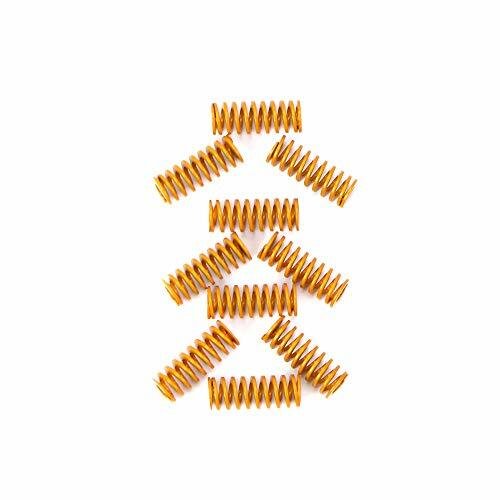 Nozzle diameter: 0.4mm (can be changed to 0.3mm/0.2mm etc). Printing Method: SD card(off-line), contact to the PC(on-line). Software supporting : Repetier-Host, Cura, Simplify3D, etc. Package size: 64X 53X 31CM. WIRELESS PRINTING: Features wireless printing through an SD Card with a diverse, multi-faceted graphic LCD controller – Never get caught up in wires again! 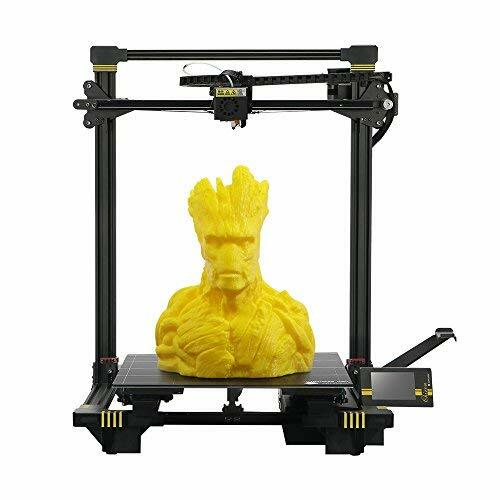 With the ability to print via your SD Card, you now have the liberty to move about with your computer while your 3D printer works. The LCD controller screen is truly a great tool – it allows you to view and select files easily, making your printing process run all the more smooth. 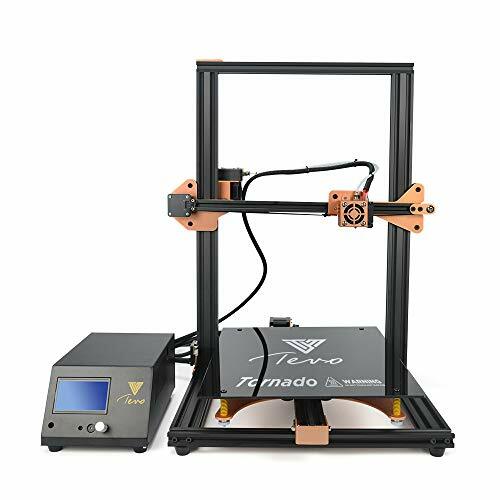 BETTER THAN EVER: The Tevo Tornado 3D printer is a versatile, easy to use, and highly dependable 3D printer. The Tevo features an all-metal HotEnd so you can print with EVERY material you can imagine including Nylon, Polycarbonate, ABS, Wood, HIPS, and more! Don’t be intimidated by having to print large – the Tevo is capable of producing many small, detailed designs as well.